April 14, 2005 (CAMBRIDGE, MASSACHUSETTS) – BG Strategic Advisors announced today that its client PWC Logistics, the leading provider of end-to-end supply chain solutions in the Middle East, and US-based Transoceanic Shipping Co, a leading international freight forwarding and logistics management company, has merged with Transoceanic. Under the terms of the agreement, PWC will own all shares of Transoceanic. BG Strategic Advisors acted as the exclusive financial advisor to PWC Logistics in this transaction. This union forms one of the world’s largest specialized logistics management providers, with offices in twenty-eight countries spread across the globe. Transoceanic will gain access to the resources needed to continue its rapid growth, including PWC’s strong IT platform. Transoceanic will also be able to leverage PWC’s infrastructure in the Middle East, Africa and Asia to offer its customers an expanded range of supply chain services. As the Middle East, Asia, and Africa continue their tremendous growth surge in the oil and gas (both upstream and downstream); industrial; and power verticals, the combination of PWC Logistics and Transoceanic provides the comprehensive logistics solutions these industries need to keep pace with the rapidly changing market conditions. With the skill set and the technical expertise of Transoceanic, PWC will be able to better serve its customer base in future projects. To further these opportunities, PWC and Transoceanic have already started identifying and pursuing cross-selling opportunities in the Middle East. 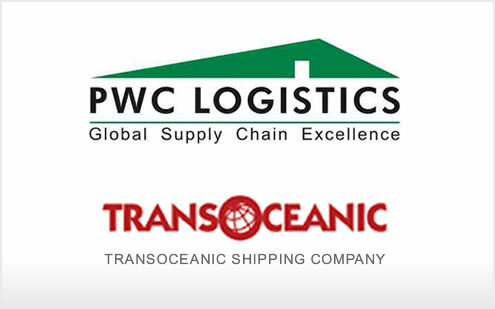 Going forward, there is no doubt that both PWC and Transoceanic will be better positioned to create a strong and successful world-class logistics and distribution network, coupled with an enhanced global presence. 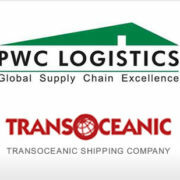 Transoceanic is a leading international freight forwarding and logistics management company, recognized throughout the world for its specialization in the “project freight” sector. With offices at strategic gateways throughout the world, the company’s comprehensive services, systems, facilities and personnel support a team management approach in responding to the logistics requirements of such industry sectors as engineering, process construction, civil construction, government services, energy services and mining. PWC Logistics is a leading provider of supply chain solutions to companies and governmental organizations throughout the Middle East and Asia. Through its integrated network of warehouse facilities and transportation services, PWC provides its customers with flexible solutions tailored to meet their business needs. PWC’s customers span a broad range of industries, including apparel; automotive; construction; electronics; food and grocery; military and government; and oil and gas. PWC is a publicly traded company listed on the Kuwait Stock Exchange, ticker symbol WARE, with a market capitalization value of approximately US$8 billion.